1. 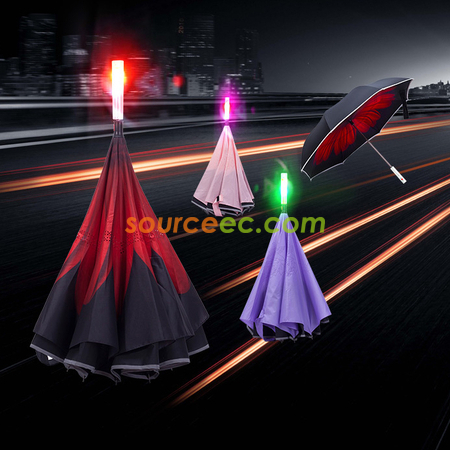 LED Lighting Mode: perfect night lighting functional umbrella for walking or hiking outdoor at night. 2. LED Flashing Mode: SOS Emergency caution light is useful for any unforeseen occasions. The reverse folding umbrella includes a carrying protective sleeve, a good choice as gift.